In additional to anime, Stephanie has many voice credits in video games, most recently Emma in Sekiro: Shadows Die Twice, and most notably Tharja in “Fire Emblem,” Airy in “Bravely Default,” Mikan in “Danganropa,” Kyrie in “Devil My Cry” and Rebecca Chambers in a number of “Resident Evil” games. She’s also done motion capture work for games as well as animation. In recent years, Stephanie has been lucky enough to be working consistently in original animation in roles such as Renee in “Barbie’s Dreamhouse Adventures,” available on Netflix, Zhuli in “Legend of Korra,” Katana in WB’s “DC Super Hero High,” Jinafire and Boolittle in “Monster High,” Share Bear in “Carebears: Welcome to Care-a-lot,” Vega in Disney’s “Stardarlings,” Popo in “Miles from Tomorrowland,” and various roles in Cartoon Network’s “We Bare Bears.” In between voice jobs Stephanie casts, directs, and writes. 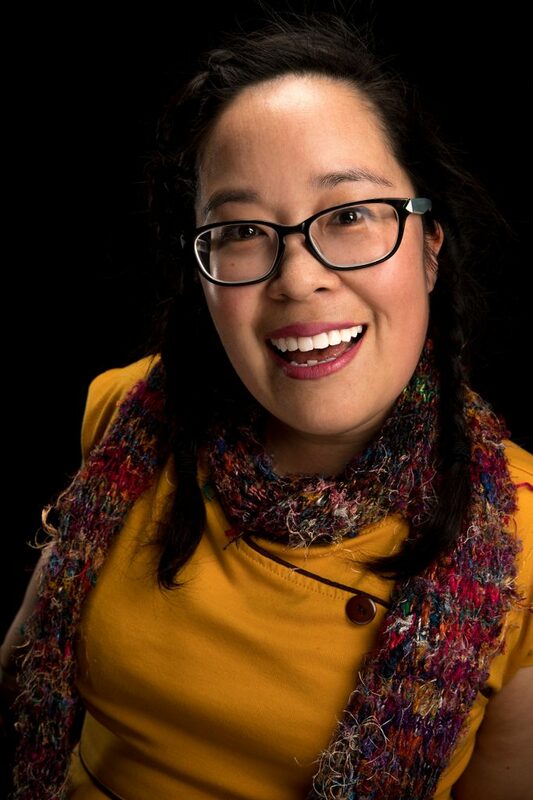 She’s cast “Hanazuki,” “Little Big Awesome,” and “Batman Ninja.” She’s the voice director for the OAV series “Gundam the Origin” as well as the gritty “Gundam Thunderbolt.” Stephanie looks forward to meeting everyone at the convention. She hopes to create amazing fun new memories and inspire people to be the best version of themselves they can be.